I sat down yesterday and watched Leatherface, the prequel to 1974's The Texas Chain Saw Massacre and 2013's Texas Chainsaw 3D. 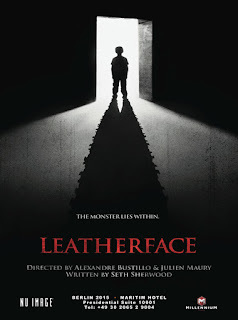 I had heard a lot of mixed reactions for Leatherface on social media, mostly tipping the negative side of the scale. 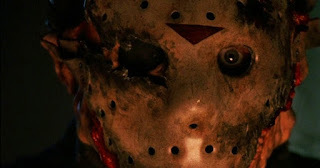 Despite retconning the entire series and muddying up the timeline, I am a fan of Texas Chainsaw 3D -- so, yeah, I was a little bummed out when I found it this new one was a prequel to the '74 classic. I had medium-to-high hopes, though, because the director duo previously made a fantastic and tension-heavy film with Inside. Yeah, the opening was that bad. However, the film did manage to get a little better. Today's sequel is a real...something. Sometimes there are movies that absolutely don't warrant a sequel, and if they were to get one, it certainly shouldn't be a spinoff. Ugh. This is 2002's American Psycho II: All American Girl. Rachael Newman has developed an interest for murders after she encountered psychopath Patrick Bateman. To further study the subject, she enrolls at the university department for Behavioural and Social Sciences, under the expert leadership of former FBI agent Robert Starkman. Very certain about herself, Rachael has one single goal: to become class assistant. It's a prestigious job as having that position will almost guarantee employment at the FBI. But becoming class assistant is no easy task to accomplish, as the first trouble arises when secretary Gerty Fleck decides she is too young for it. And Gerty Fleck won't be the only obstacle. In what some would call a shocker, Jurassic World director Colin Trevorrow, who was attached to direct and co-write Star Wars Episode IX, has departed from the project. Word has it that his vision didn't quite line up with what Disney and Lucasfilm had in mind. 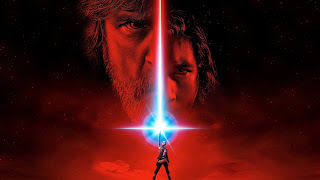 The best guess as of right now is that Rian Johnson (Star Wars: The Last Jedi director) could be a logical substitute. After a slew of hopefuls, Gavin O'Connor has been chosen to write and direct Suicide Squad 2. 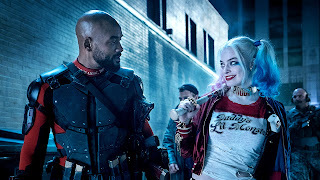 Gavin O’Connor is on board to write the sequel to “Suicide Squad,” and is also in talks to direct the film that stars Will Smith, Margot Robbie, and Jared Leto. The movie is a top priority at Warner Bros. and looks to be one of the two DC properties (the other being New Line’s “Shazam!”) to begin production next year. Given the ensemble’s busy schedule, the shoot wasn’t expected to start until fall of 2018. So while there’s still time, the studio is eager to get someone on board to pen a script.Suicide Squad 2 will most likely hit sometime in 2019. Back in August, while out promoting his sequel, Goon: Last of the Enforcers, Seann William Scott let it be known that he's totally down to re-team with Ashton Kutcher for Seriously, Dude, Where's My Car?. A sequel that apparently has a real script floating around Hollywood. Fingers crossed that this will happen! I've been on a bit of a teen comedy kick lately, which led me to rewatching the American Pie movies. I'll get to recapping the others, but for now, this is 2012's American Reunion. Over a decade has passed and the gang return to East Great Falls, Michigan, for the weekend. They will discover how their lives have developed as they gather for their high school reunion. How has life treated Michelle, Jim, Heather, Oz, Kevin, Vicky, Finch, Stifler, and Stifler's mom? In the summer of 1999, it was four boys on a quest to lose their virginity. Now Kara is a cute high school senior looking for the perfect guy to lose her virginity to. This was definitely one of the few sequels that I was super excited for. I love the characters and I love the movies. And, really, AR is a great follow-up/conclusion to the series. 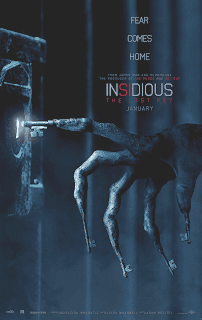 If you were wondering about a fourth Insidious movie then wonder no more. The trailer for Insidious: The Last Key has dropped. Today's sequel comes off the heels of the news of the new Crow reboot/remake. I always refer to this one as the unnecessarily necessary sequel. 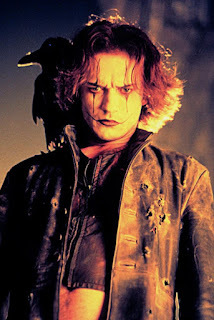 This is 1996's The Crow: City of Angels. Some time ago, Ashe Corven and his son Danny were killed when they stumbled across a pack of drug dealers murdering a fellow dealer. The dealers work for Los Angeles drug kingpin Judah Earl. Local tattoo artist Sarah, who has great knowledge of the crow legend because of what happened with her late friend Eric Draven, has been having dreams about Ashe and Danny. One night when a crow leads her to the scene of the murders of Ashe and Danny, Ashe appears before her. The crow has resurrected Ashe, so Ashe can go after Judah and his right hand man Curve. With the guidance of the crow, Ashe starts killing off Judah's men one by one, on his way to Judah. It's been a couple year, so here we go. 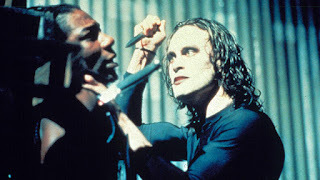 Sony has landed the distribution rights for The Crow franchise. And we're getting The Crow Reborn. From The Tracking Board: In what would be a major coup for Sony Pictures, multiple sources have told the Tracking Board that the studio has signed on to distribute THE CROW REBORN worldwide. While it’s a bit unclear whether Jason Momoa and Corin Hardy remain attached to respectively star in and direct the film, insiders suggest both men are still part of the studio’s plan, as both are on the rise. Next year, Momoa has Aquaman coming out, while Hardy has The Conjuring spinoff The Nun. The Crow Reborn will be a reboot of the cult classic franchise as well as a more faithful adaptation of the original graphic novel written by James O’Barr. There you have it: some sort of solid news for a new Crow movie.